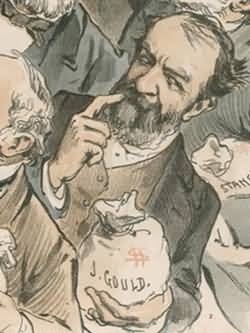 “I can hire one half of the working class to kill the other half,” said Jay Gould, probably the most ruthless “robber baron” of the 19th century. It was not an idle threat. So why would a handful of Hartford telegraph workers in 1883 take him on? Gould robbed working people and millionaires alike. 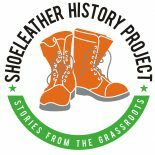 He bought his way out of the Civil War draft, issued millions of dollars in phony railroad stock, bribed legislators, and manipulated President Grant in an attempt to corner the gold market. Worst of all, he was a notorious union buster. Gould bought a newspaper to help his image, kept plainclothes police with him at all times, and bomb-proofed his newly-purchased New York Western Union office. With good reason, he was the industrialist the public loved to hate, the “Octopus of the Wires” as described by one of his former employees. Toward the end of the 19th century, three local telegraph offices kept Hartford connected to the rest of the country: Western Union (bought by Gould in 1881), Mutual Union, and American Rapid. Hartford was the largest relay office in New England outside of Boston. Fifteen lines were in constant operation, but the office had the capacity to operate sixty lines at a time. Operators, linemen, battery-men, clerks, and message boys were all employed to keep the system running efficiently. While Western Union’s profits had greatly increased over the past decade, telegraph workers’ wages had actually been cut and hours increased. 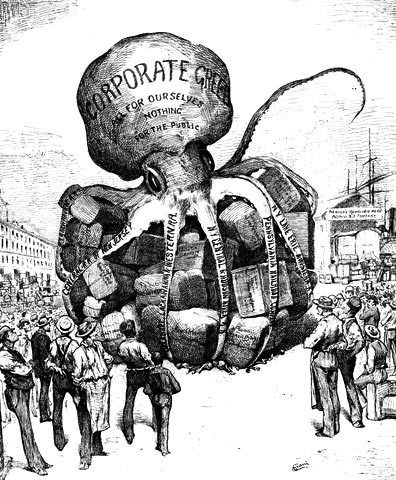 On July 19, 1883 a nationwide strike began. Hartford, New Haven, and Norwich operators joined the effort. 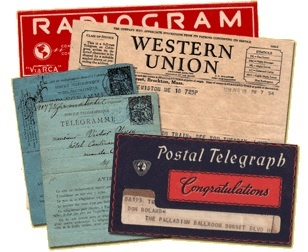 Telegraph work was arduous, as even the former president of Western Union had admitted to a Congressional committee. William Orton testified that operators could not perform their duties for more than six hours straight without endangering their health. Often working twelve to sixteen hours at a time, workers demanded an eight-hour day. They also pushed for overtime pay on Sundays, and a 15% raise for every pay grade, to help restore the losses they had been incurring since 1875. One of the workers’ demands was quite unusual for the time. The telegraphers’ union insisted that all workers be paid based on their skill level, not their gender. 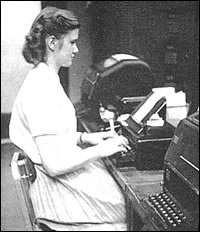 Women as well as men worked as telegraph operators, took shorthand, and dealt with the public. Women had even run military telegraph offices during the Civil War. 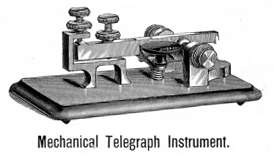 The “Brotherhood of Telegraphers of the United States and Canada” made equal pay for equal work one of its primary demands (even if its name didn’t live up to its aspirations). 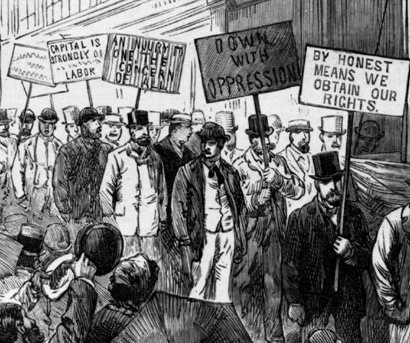 The union was formed about two years before the 1883 strike when several regional groups came together to form a united organization under the banner of the Knights of Labor. As a Knights affiliate, it accepted women as operators. One male Hartford operator made the unions’ demand clear. He told a newspaper reporter that “the clause demanding equal pay for equal work, whether done by men or women, was inserted in the bill of grievances from a sense of justice to the lady operators, who are as much overworked and unpaid in their departments as men.” The striker explained that despite the equal effort and skill, women only received half of what men earned, from $25 to $50 a month, compared to $60-$90 earned by male operators (in contrast, house painters and garment cutters earned twice as much as telegraphers). Union leaders met with Thomas T. Eckert, the general manager of Western Union, who rejected all their demands in a manner the unionists labeled “arrogant and disrespectful.” They should not have been surprised. Eckert was an officer during the Civil War in charge of communications who passed critical information to Jay Gould just before a Union Army victory or defeat. If the North was about to lose a battle, Eckert would wire Gould and the robber baron would buy gold. If the North was about to win, Gould would switch to dollars. Once, during the Battle of Gettysburg, Eckert failed to pass along the inside information. Gould was furious. The Hartford strike began promptly at 12:05 on Thursday, July 19th. One operator was in the middle of sending a dispatch when his co-workers walked out; he left too with the message unfinished. Twelve of the thirteen Western Union operators walked out, leaving only the manager and chief operator. 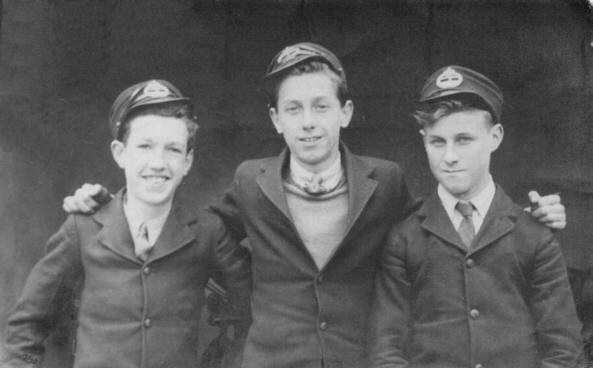 Both American Rapid operators struck as well, as did the lone worker at Mutual. All the linemen at the three companies “dropped their repairing instruments and retired from duty” according to a press report. 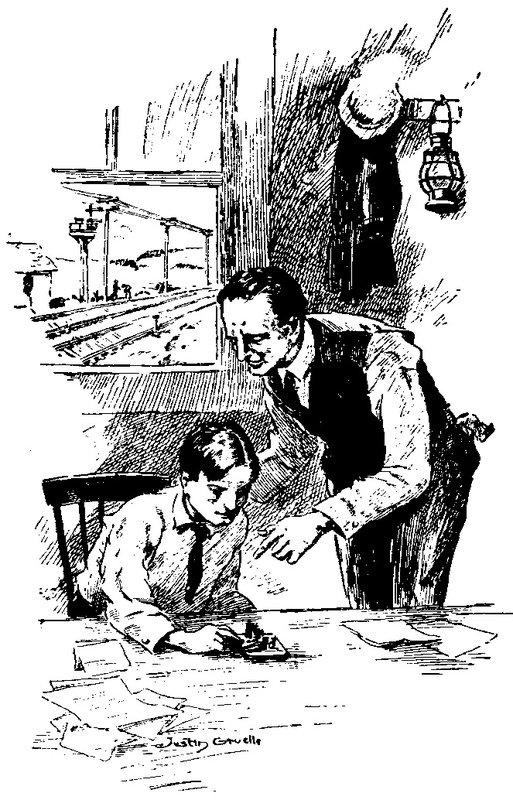 Railroad and press operators were all told to stay on the job. This meant that the primary impact was on personal correspondence. But a Hartford newspaper reported that “Public opinion here generally seems to sustain the operators in their movement.” The operators who kept working “pledged themselves not to interfere in any way with the regular operators’ strike. For the first week, everyone coped. The public stopped coming to the telegraph offices and used the mail instead, since delivery and accuracy was no longer assured. One story circulating concerned three Hartford men, visiting New Jersey, who wired on a Saturday that they were coming home. When they arrived in the city on Monday, the telegram still had not been delivered. In the meantime, groups of citizens mingled with the strikers on at the intersection of Central Row and Main Street to discuss the latest news. The Hartford Knights of Labor office opened its doors so the strikers could meet. When not doing union business, strikers played baseball on a makeshift field in the North Meadows. 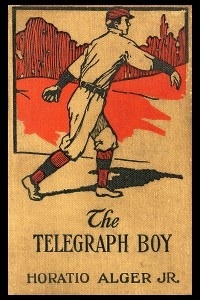 The Western Union operators faced a team composed of the other two companies, for a seven-inning game. 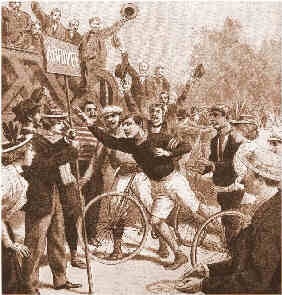 The united team won by a score of fifteen to nine. There was plenty of union work to do as well. In order to ensure the local success of the strike, workers had to persuade out-of-town strikebreakers to stay away, such as the female Western Union operator who came into town from a rural office. Approached by the strikers, she listened to their arguments, signed a union card, and returned home. Two operators who had traveled from White River Junction in Vermont were similarly initiated into the union by local operators. Two more from Burnside were discouraged from taking jobs as scabs as well. Samuel Adams, a New York lineman sent to American Rapid’s Hartford office, was also met by strikers. He signed up and left for New York on the noon train. Within six days, the American Rapid Company settled with the union, agreeing to 10% wage increases, “eight hours for a day’s work,” overtime pay for hours worked in excess of eight, and Sunday overtime. The issue of pay equity was not directly addressed in the settlement. The company also agreed to hire strikers from other companies. But American Rapid was not the biggest target, and the strike against Western Union continued. On August 8th, several thousand union members and their families celebrated the American Rapid victory at their annual Union Grove picnic on Wethersfield Avenue. The event, which lasted until midnight, featured Samuel Gompers, the cigar maker who would soon become the first president of the American Federation of Labor. Cracks in operators’ solidarity appeared in other parts of the country. There were reports that some operators who were allowed to stay on the job were doing the work of strikers. In Boston and New York, some returned to work. Desperate acts of sabotage of telegraph lines occurred outside of New York City and there were sporadic attacks on scabs as well. In Hartford, signs were posted on Western Union poles offering a $500 reward for information that would lead to the conviction of anyone damaging company property. “It is not likely that a single reward will ever come to Hartford” a local paper wrote. National union leaders tried to meet with Eckert in New York on August 15th during a meeting of the Western Union executive committee, but he refused. The Western Union strike was called off on August 17th. Some Hartford strikers were rehired and forced to sign “yellow dog contracts” which bound them never to join a union. Others, like lineman Walter Clark and a depot office worker identified as Miss Lester were not reinstated. It is reasonable to presume they were blacklisted, a common tactic to thwart future union efforts. A local newspaper blamed the workers’ situation on the union and described it as an “organization which can get its members into trouble but cannot pull them through.” In a way, this conservative viewpoint was correct. By deciding which of the operators would strike and which would stay on the job, the union weakened its bargaining position. Jay Gould could be beaten in only one way: by a strong united front. This lesson was not lost on union organizers. 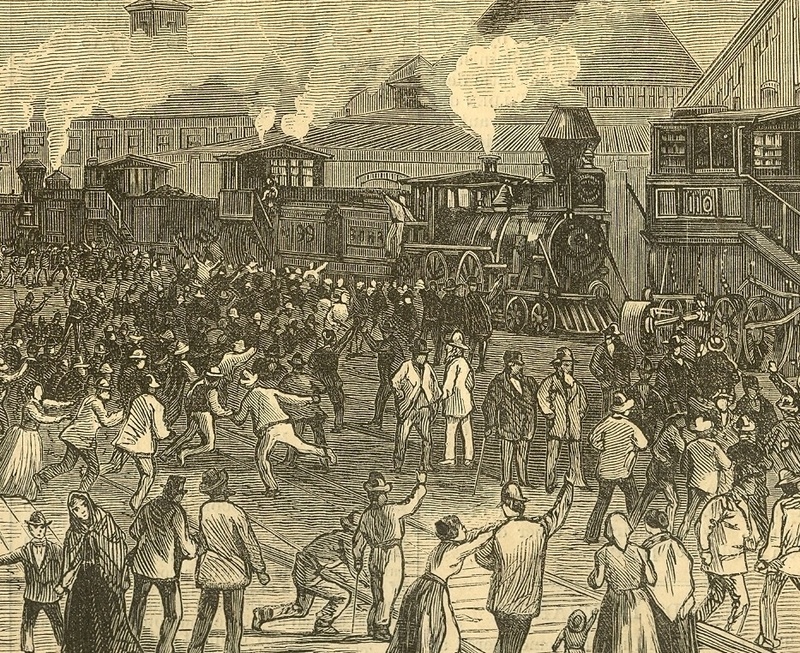 In 1885, two years after the telegraphers’ strike, the Knights of Labor organized tens of thousands of railroad workers from a wide range of jobs, struck Jay Gould’s Southwestern rail system, and won. This entry was posted on November 9, 2013 by Steve Thornton in Hartford, Labor.